And breathe. 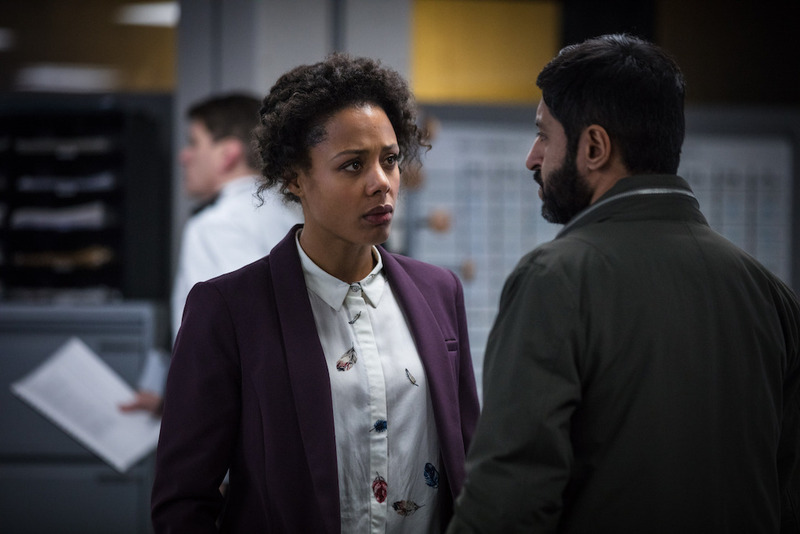 Bodyguard – not, as even some careless BBC broadcasters keep calling it, "The Bodyguard" – careered to a conclusion as if hurtling around a booby-trapped assault course. 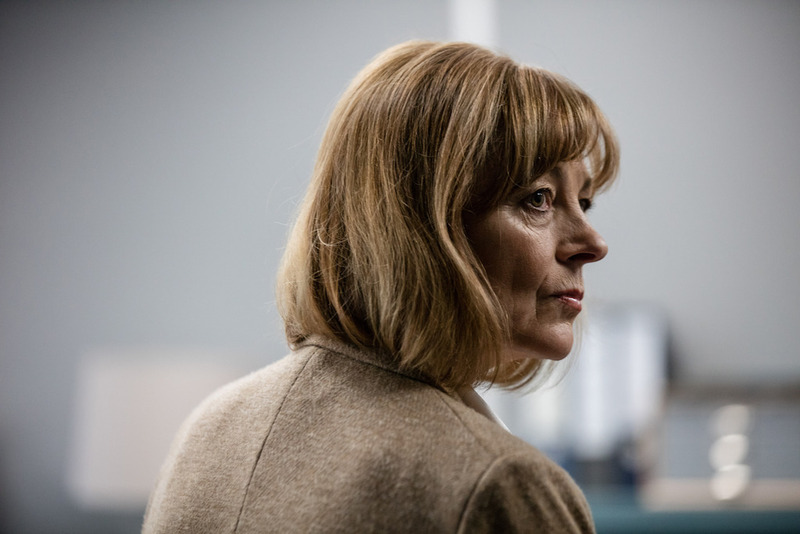 It turned out that, contrary to a popular theory about Jed Mercurio's BBC One thriller, the Home Secretary Julia Montague was not secretly alive and well and hiding round the corner in a crazy Mercurioso twist. Apparently she really was dead and buried, and for much of the pulsating finale the hunter became the hunted as her lover and protector PS David Budd (Richard Madden) was identified as her murderer. And with minutes to go there was still no clue who had set him up for a fall. Except there were clues. In obedience to the whodunnit’s oldest rule of all, the finger of suspicion had been carefully pointed towards everyone but the actual culprit. And there were a lot of candidates lining up to look shifty – among them head of Scotland Yard Anne Sampson (Gina McKee, deemed by second-guessers on Twitter to be too good an actress not to be the traitor), acting Home Secretary Mike Travis (the wonderful, weaselly Vincent Franklin), MI5 chief Stephen Hunter-Dunn (a splendid, teak-like Stuart Bowman). But when the music stopped it was none of the above. Instead the previously unsuspected Lorraine Craddock (Pippa Haywood, pictured below, whose measured, mumsy performance was a shrewd piece of misdirection) was left to look forward to an uncomfortable future at Her Majesty’s pleasure. Perhaps, banged up with other felons, she will be able to plead that she was always on their side. Suddenly it made perfect sense that Budd, fresh from the trauma of negotiating with a suicidal terrorist, was illogically promoted to become the personal bodyguard of the Home Secretary, and not stood down despite every new assault on his mental wellbeing. Or not until a concerned colleague spotted an alarming wound in his temple. The actual assassin of Julia Montague turned out to be gangland drug lord Luke Aitkens (Matt Stokoe), who was motivated to prevent RIPA, the new law enabling tighter surveillance of organised crime. "Just business," he nonchalantly explained as Budd fought the overpowering urge to impose vengeful summary justice. In other words, when boiled down to its essence, Mercurio offered a variation on a theme from Line of Duty: it was the corrupt copper pulling strings in the service of an untouchable crime boss. The Bond-like Budd was perhaps a little too brilliant to be quite true. Before he went off for his assignation with posh gangster's moll Chanel Dyson (Stephanie Hyam), he resourcefully set a trap for Richard Longcross (Michael Shaeffer), and safely buried the evidence of his innocence. His intuition about the whereabouts of the compromising tablet – it shared a frame with David Cameron – was an amusing guess. And his ability to gain access to Chanel’s flat suggested a past life as a world-class cat burglar. While we’re on minor quibbles, if Aitken was so clever at not being caught, how come he allowed himself to be so clearly identified dropping Chanel off at the café? And how exactly did Nadia work up the opportunity to communicate with accomplices while incarcerated? There were many top-drawer performances, none more than Richard Madden’s damaged hero. No one acted more convincingly than Nadia (Anjli Mohindra) whose eyes turned steely with cunning when she outed herself as a twisted avatar of jihadi girl power. Credit to directors Thomas Vincent and John Strickland for moving so fluidly between action and intimacy, and to whoever persuaded half the staff of BBC News to buy into the fiction. Mercurio saved the most uncharacteristic reveal to the very last shot: a fast-tracked happy-ever-after outro for Budd. As he drove off into a healing future, did anyone else expect the car containing him and his family to explode? We've all been groomed to fear the twist of the knife. It’s been gripping entertainment of the highest calibre. Much more please, Jed.